From simple pick-and place-applications, to complex assembly tasks, Mitsubishi Electric MELFA industrial robots are equipped with class-leading speed and precision. 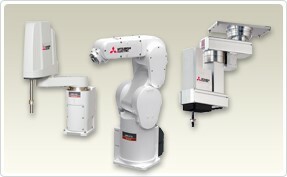 Coupled with intelligent options like 3D vision, force sensing and seamless PLC integration, Mitsubishi Electric has the robots required for today’s demanding manufacturing applications. Inverted (reverse mounted), space-saving SCARA. 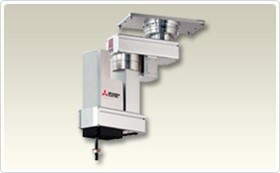 Capable of high-speed motion for a wide range of material handling and assembly applications. Reverse mounted SCARA, featuring a full 360deg work envelope for increased access, while multiple protection ratings including IP65 and ISO class 3 provide maximum protection. Available in both stand alone “D” and “Q” iQ PLC based versions.